These palm-sized football Man of the Match trophies are perfect to reward your best player. 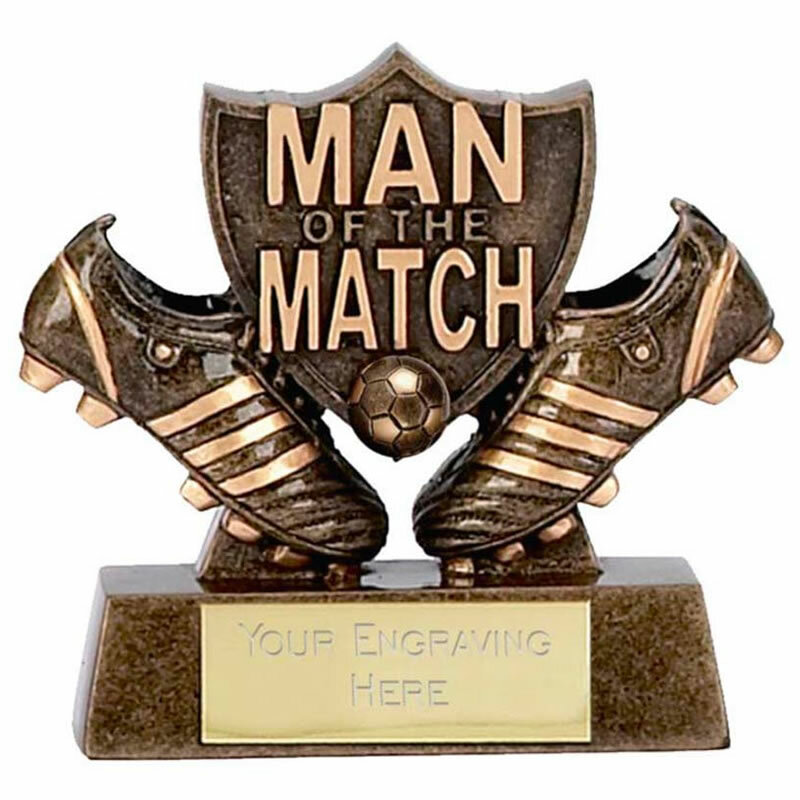 Crafted in durable resin with an attractive bronze and gold colour finish, they feature a shield with the legend 'Man of the Match' along with two boots and a ball. Set on a base with engraving plaque, these awards are 3.25in (8cm) tall.